A Disney executive alumnus with over 25 years of experience in the attractions and hospitality sectors. A proven industry veteran that has demonstrated the ability to build/lead teams, cast vision, execute strategic plans, and deliver strong results. 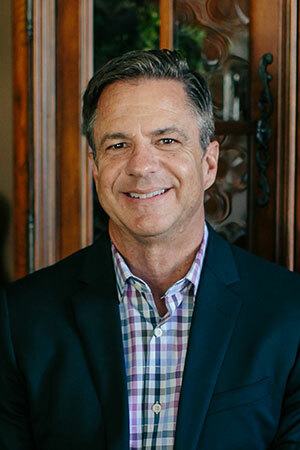 In addition to the Walt Disney Company and prior to joining ProParks, Watson has served in multiple executive roles for other respected brands including Wyndham Worldwide, Sage Hospitality, and CNL Lifestyle Properties. A native of Florida, Watson graduated from the University of Central Florida where he received a Bachelor of Science degree in Marketing. Watson has served on the International Association of Parks and Attractions (IAAPA) Marketing and Communications Committee, the World Water Park Association (WWA) Marketing Committee, and has been a member of the Chairman’s League, American Resort Development Association (ARDA). Watson currently serves on the advisory board for Unity 4 Orphans, a nonprofit organization that invests in the lives of abandoned and vulnerable children in Mexico, Nicaragua, and El Salvador. When not engaged in his attractions/hospitality pursuits, Ted loves to take family vacations, travel, is a surf enthusiast, and plays guitar.